Steve Harvey is having another bad PR week. 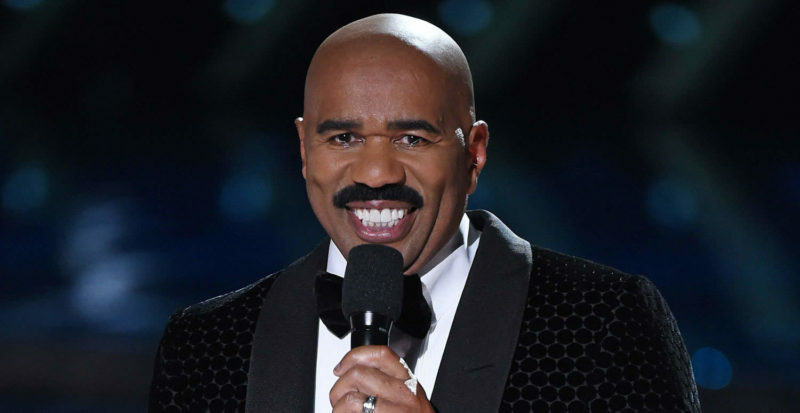 You’ve probably heard about the recent leadership controversy surrounding Steve Harvey. To be honest, it took me a little by surprise. When you think of the word “approachable” Steve Harvey is the kind of guy you picture. You could say being approachable is a big part of his personal brand. Before I go further I think it is important to say a couple of things. First, I am grateful that nobody really cares about my internal company emails. I’m sure every single one of us has sent an email in a heated moment that we wish we could take back. Harvey himself said he regrets the way he put things and I’m sure he does. (By the way, want a practical tip to avoid an email like Harvey’s? Scream your emails). Second, Harvey isn’t wrong about protecting his space. He has every right to private time, especially as he is getting ready to perform in front of millions of viewers (I can’t imagine how stressful that is). The guy is prolific and is involved in a lot of projects. The demands on his time must be enormous. The man just needs to get some sh** done. And he needs less interruptions in order to do it. Okay, I get that. Trust me, I do. Finally, hindsight is 20/20. What’s important here isn’t how you might rewrite Harvey’s email. 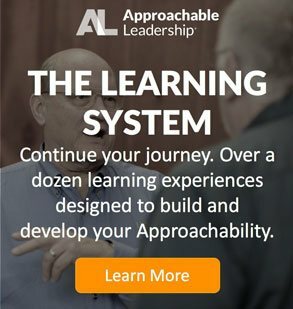 Instead what is important is what we as leaders can learn from this very common leadership dilemma: the pull between being available and being effective. What leaders can learn from Steve Harvey. Harvey’s email is a reaction to a challenge every leader faces. We want to be approachable. That means being available to our teammates when they need us. And since we never know when they’ll need us we often will say our door is always open. 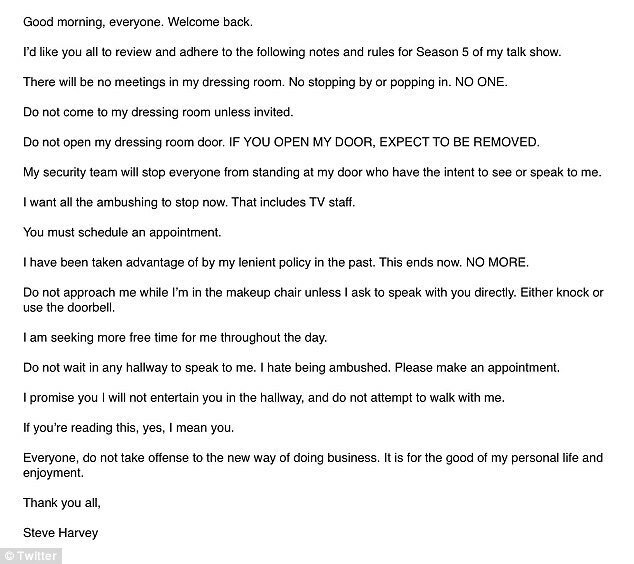 That “open door policy” is what Steve Harvey was “adjusting” in his email. When you say your door is open you are inviting interruptions. Some days nobody interrupts. Other days it feels like every minute is a new interruption. Those days can get really frustrating. 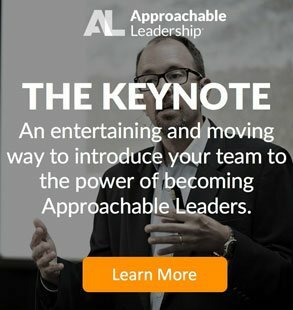 How should we respond as leaders? Your teammates have different needs. Some will almost never interrupt you. You may have to seek these teammates out because they are so respectful of your time. Others don’t have any problem coming to you if they have an issue or concern. Finally, a few people will dominate your time if you let them. They have too little respect for your time (and perhaps too little work to do). It was this last group Harvey was dealing with. He used his email to “manage the exception.” He made a blanket announcement even though later he acknowledged that there were just a few people he felt were abusing the open door. Using blanket policies to manage outlier situations (or people) is usually a bad idea. Instead of making a blanket policy, manage the individual offender. Two reasons. First, the individual offender has already shown they probably aren’t a rule or convention follower. They’ll be the first to ignore or test the boundaries of your policy, putting you right back where you started. Second, when you make the blanket announcement (especially if you do it as forcefully as Harvey did here) you end up pushing away all of the people who weren’t a problem in the first place. That’s a lose-lose solution. Harvey’s email was probably written in anger or frustration. It is a pronouncement. It makes the villain assumption (people are interrupting for their own selfish reasons). It is easy to say “don’t send emails when you’re angry” but that can be hard to do without a change in mindset. Here is a “hack” that can get you in a better frame of mind: before deciding on a change in practice explain the problem and ask the team for advice. One of the reasons we react negatively to Harvey’s email is that it smacks with power distance. It is news not just because Harvey is popular, but because it is out of character. The more approachable way is to present the situation as a request for advice. This completely changes the power dynamic. Asking for advice flips the power equation. It puts the teammates in the low power position into a higher power situation. When you do this not only do you not make the newspapers, but the folks who are involved in creating the problem will co-create the solution. They are much more likely to follow through on a set of boundaries they set in the first place. 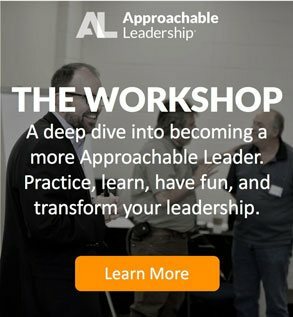 Properly asserting your power as a leader is paradoxical. For more on the why behind that, check out last week’s post: Cultivate Power: 6 Tips for Giving Control Back to Your Team. As leaders, we need time to ourselves. For Steve Harvey, I’m sure a big part of that is getting “in the zone” as a TV personality. His request to be left alone in his makeup chair and dressing room seems entirely reasonable. Even for us non-TV stars, we still need time to ourselves to do our work. Each of us has “deep work” that helps us move our business and our teams forward. That work can’t be done with constant interruptions. We need alone time to do all this. Personally, I get most of my “deep work” done after everyone leaves the office. Or late at night when I should be sleeping. But a big part of that has to do with the nature of my work. I communicate a lot throughout the day. Not only with my team, but also with our customers. Still, sometimes I have work that needs done at 11AM and I need no interruptions in order to get them done. You know what I do? I shut the door. Shocking I know. How can you have an effective open door policy if you shut the door? Well, to me, the key to having an effective open door policy is to have a clear distinction between when I’m available and when I’m not. After all, this is the basic premise, isn’t it? When my door is open, sure pop in. When it’s closed, do me a favor and make sure it’s pressing first. I still get knocks when my door is closed. And when I do, the urgency is usually understandable. However, I get less interruptions because my team knows my door will be open again. If it can wait, they wait. This brings me to another challenge leaders face with their open door policies. One of the things that can make open door policies frustrating is getting interrupted by every little thing. How can you create an environment where the interruptions you get are worth it? Where employees feel comfortable coming to you but where your availability doesn’t get taken advantage of? Take a lesson from the lean movement. Get out of your office and go to where the work is happening. This is called Genchi Genbutsu and translated it means “actual place” or “actual thing.” Create a regular space and opportunity for team members to speak with you about less urgent items. Do this by having a presence around the office. Make time to walk around and check in with your team on their turf. Make time to walk around. Check in with your team on their turf. This not only helps curb the power paradox (they don’t always have to come to you). It also creates a time where you are available to your team (for questions or light banter) on your terms. Incorporate these 4 lessons into your list of leadership habits and it will help balance out your open door policy. When your door is open, you’re available. By walking around you reduce less important interruptions. And people will (mostly) respect when the door is closed. What’s your experience with open door policies? How well has it worked for you in the past? Did you find that it got taken advantage of? What are some tips you could share that help mitigate the pros and cons?